According to the Center for studies of civil society and NGOs HSE, only 39% of Russian funds publish annual reports on its activity (data based on a survey of 87 funds from regions of Russia). 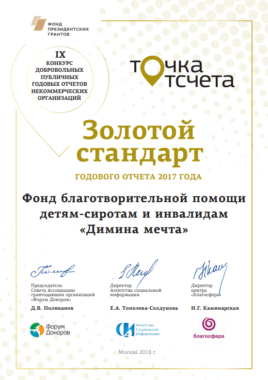 Annual reports of the Foundation “Diema’s Dream” regularly take part in the Contest of Annual reports conducted by the Public chamber of the Russian Federation, the Ministry of Justice and the Vladimir Potanin Foundation. 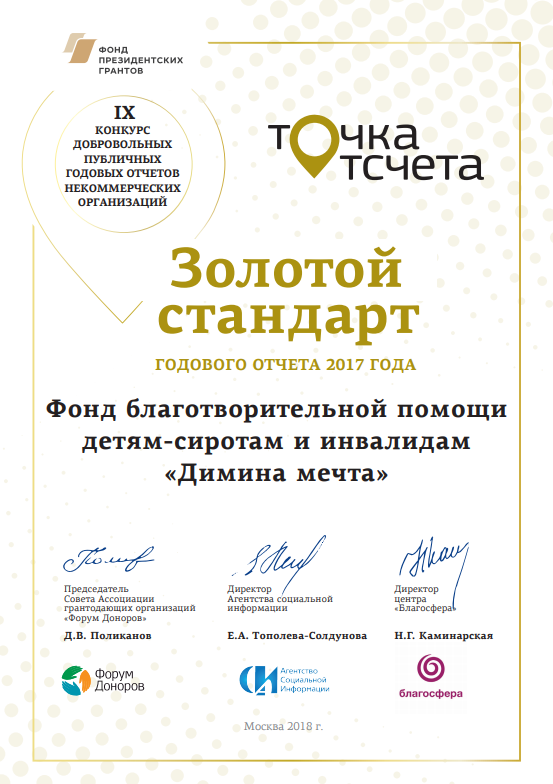 The Fund is in the top 10 on the results of the contest and awarded 2 Gold certificates standard!